Share your experiences with Tiago? 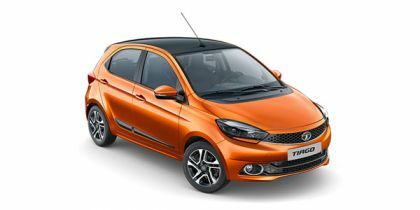 Q. Tata Tiago XZ+ Dual tone, Hyundai Grand i10 Asta which one to buy and is the engine of i10 is good than Tiago. Can you please explain 3 cylinder engine vs 4 cylinder engine. Q. Which variant of Tata Tiago would be best for a first time buyer manual or automatic transmission. Being 6 feets in height, will it be suitable for me? Always buy manual transmissions car it not a bit easy to learn driving but once u got trained then after you can drive any car. Now concedring your height tiago is not suitable for you. Q. It is said that Tiago has some kind of penetrating noise and at present is there any discount? Tiago is the Best selling car in it's category. No penetrating sound or else it won't sell.we are proud if the Tiago car. An Indian car. Q. Is it a fun to drive? Q. I am confused with Tata Tiago please suggest.